"The new work from master musician David S. Ware arrives! 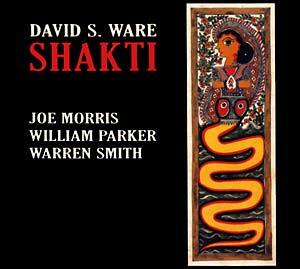 Shakti is Ware's first new studio recording in almost 6 years, and his first with a new group since his highly esteemed Quartet was disbanded. The Quartet's final performance was documented on Renunciation (AUM042). Even before that album was released, Ware was developing a new group concept, and beginning to compose for same. 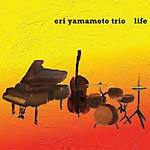 In July 2007 this new group, featuring guitarist Joe Morris, made its live debut at the Iridium jazz club in NYC. The membership was solidified with the addition of long-time musical compatriot William Parker on bass and fellow master musician Warren Smith on drums. A European tour in November 2007 followed, and a studio session was booked for May 2008, resulting in the luminous Shakti. Working with musicians (as he ever has) who fully understand the profound ebb and flow of his music, and who can trace the tendrils thereof as close to infinity as human fingers allow, Ware here presents five new compositions and a re-interpolation of his own 'Antidromic' which first appeared on Wisdom of Uncertainty (AUM001). Each group member contributes exquisitely. Joe Morris long ago developed his own utterly singular school of jazz guitar. His coloration of David's music comes from a deep appreciation and full understanding thereof. 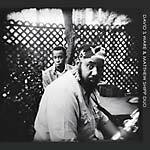 William Parker's bass voice has been an integral aspect of David's work since 1988 and is heard here in its highest form in both pizzicato and arco modes. Drummer/percussionist Warren Smith is a blessing pure and true; over the past half century his work has graced recordings by Van Morrison (percussion and vibes on Astral Weeks! 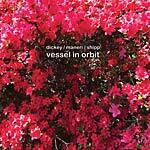 ), Gil Evans, Charles Mingus, Max Roach, Rahsaan Roland Kirk, Quincy Jones, Sam Rivers, Julius Hemphill, and many more."